This is not an actual release. 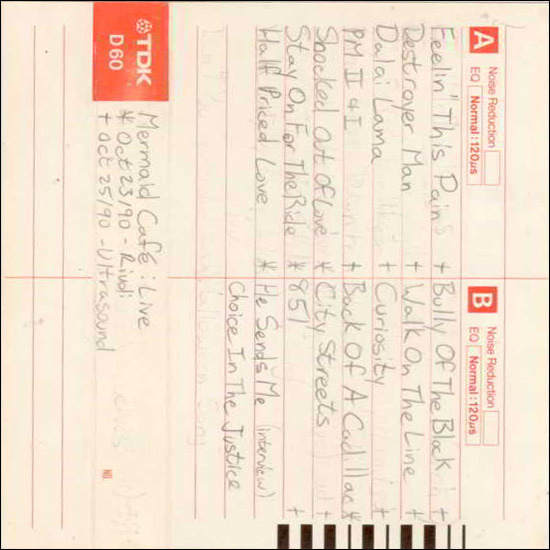 It was a compilation tape given to me by Joe Moon. It comprises performances from October 23 1990 at The Rivoli (songs 5-7, 11) in Toronto and October 25 1990 at Ultrasound Showbar (songs 1-4, 8-10, 12-13) in Toronto and backstage at The Spadina Hotel (songs 14-15). Some songs have Jonni Super on Bass and someone on drums.